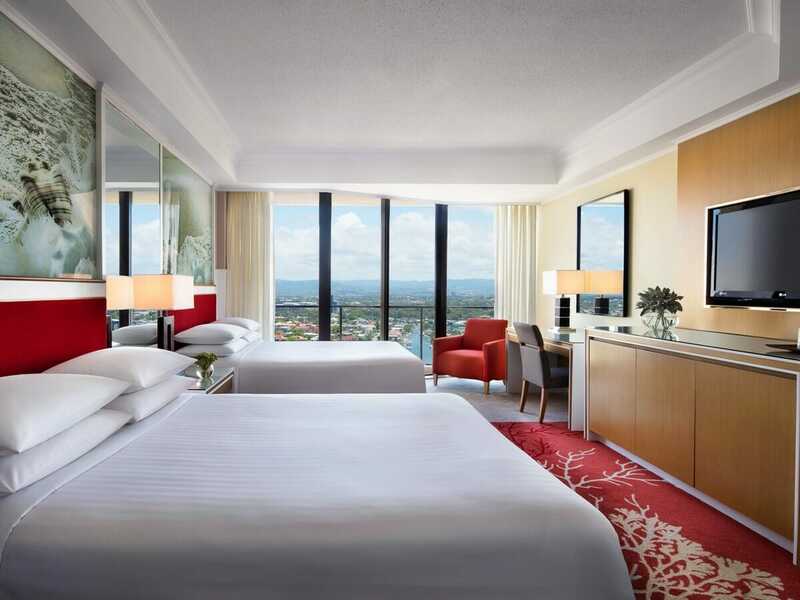 Admire the sparkling waters of the Pacific Ocean, throw in a modern theme plus a blend of ultimate comfort and luxury and you’ve got an Ocean View Room at Surfers Paradise Marriott Resort and Spa. 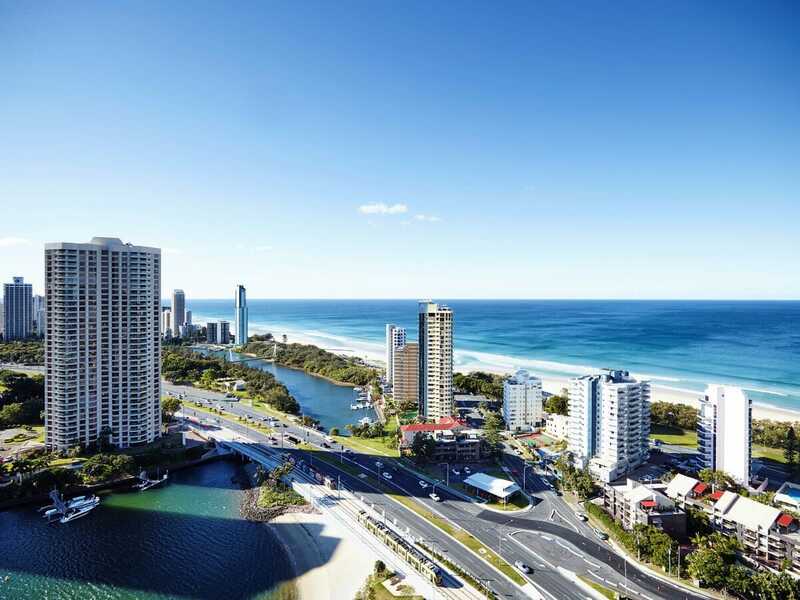 Fly into the Gold Coast from selected capital cities across Australia. Your return economy airfares are included in your holiday offer, as is 7kg carry-on luggage. Need more room to take home your bikinis and board shorts? Just ask our Holiday Experts. Feast on a selection of international cuisines when you pull up a seat for breakfast at Citrique Restaurant. The talented Chefs create all your favourites in the new and interactive restaurant each and every morning. Get more out of your holiday with $100 food and beverage credit. This unrestricted bonus will sweeten your holiday experience. Whether you want to put it toward meals or drinks, treat yourself to something extra on us. Perfect for a rainy day or a quiet night in, take advantage of unlimited access to the resorts in-house movies every single day of your holiday. Hiring a car for your Gold Coast holiday? Don’t stress about finding a safe place to park for the night, we’ve got you covered (literally). We’ve included complimentary self-parking each day in the resorts car park. 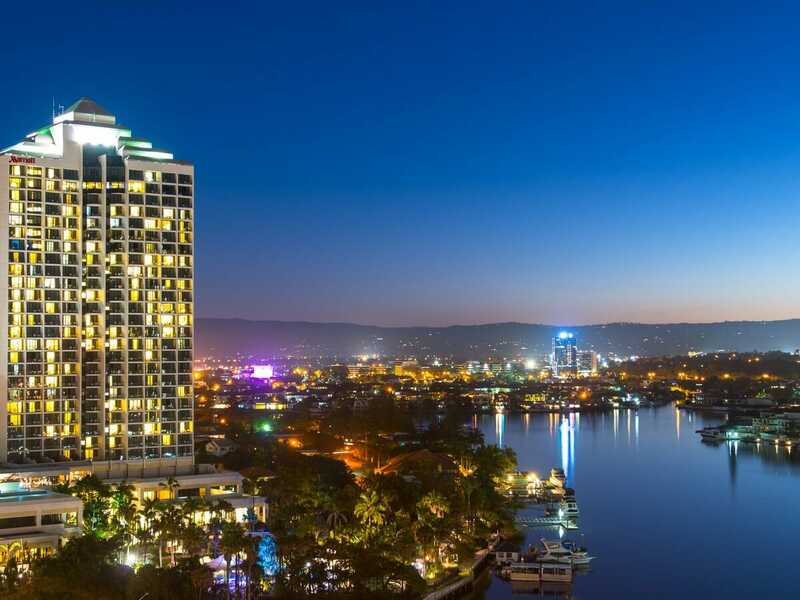 Treat yourself to ultimate luxury in the heart of the Gold Coast. 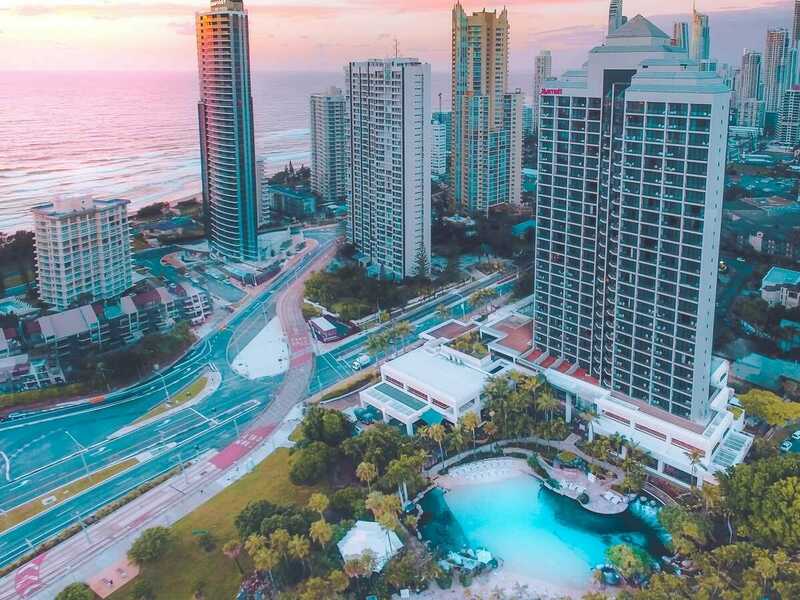 Nestled between the beach and the canals, the Surfers Paradise Marriott Resort and Spa offers spectacular views of both the hinterlands and the beach, sophisticated facilities, and ultimate convenience for travellers wanting to enjoy all the attractions on and around the Gold Coast. Stroll less than 200 metres to the beach, 1-kilometre to access major shopping precincts, and discover plenty of restaurants, bars, and family-friendly activities along the way. Sea World is less than 5 kilometres away, hinterland tours can be arranged at the front desk, and boat excursions operate around the neighbouring canals, so you really can get out and do it all. There are 329 rooms at the Surfers Paradise Marriott Resort and Spa. 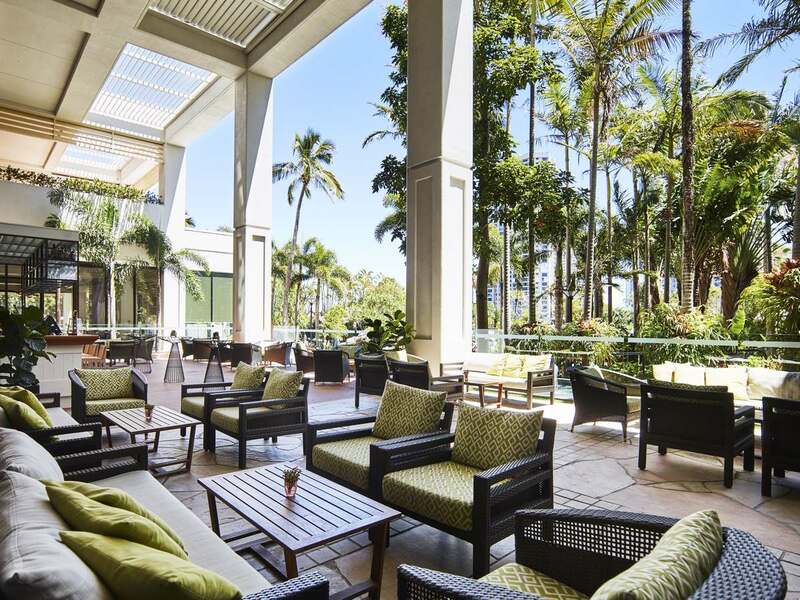 Each emanate the elegance and class that is so often associated with the Marriott brand—they are airy and spacious and feature fabulous floor-to-ceiling windows that showcase either the hinterland, the Surfers Paradise skyline, or the rolling Pacific Ocean. Rest well atop deluxe pillow top King or Twin beds and soak up holiday life in your beautiful marble bathroom, complete with shower, separate soaking tub, and a lighted makeup mirror. Enjoy free Wi-Fi, an LCD TV with pay-per-view movies and local and international satellite channels, a writing desk, minibar, coffee and tea facilities, 24-hour room service, robes, slippers, and walk-in closets. Some rooms feature balconies so that you can let the coastal breezes float in, and interconnecting rooms are available to accommodate larger groups. 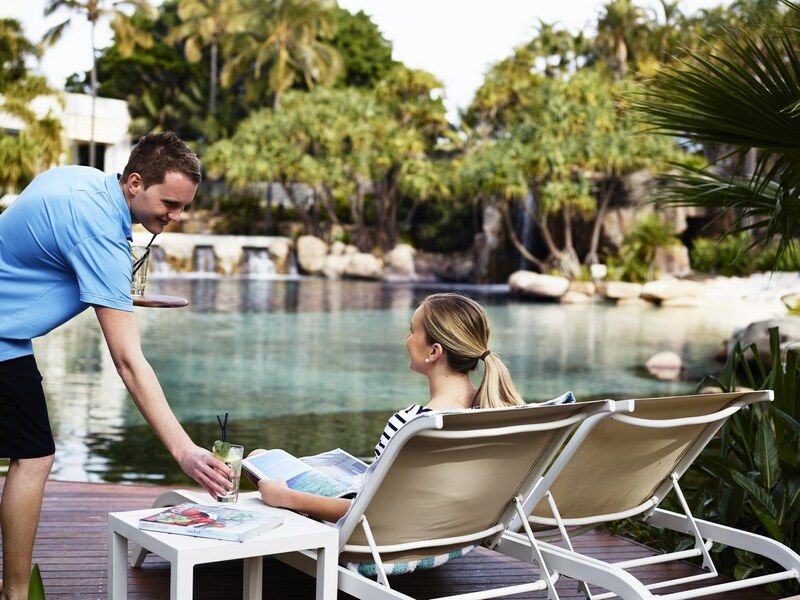 The Surfers Paradise Marriott Resort and Spa is far from your average Gold Coast resort. As well as having a full service day spa, a barber, kids’ club, a 24-hour fitness centre, tennis court, and bicycles for hire, this incredible resort features an $8 million aquatic playground. 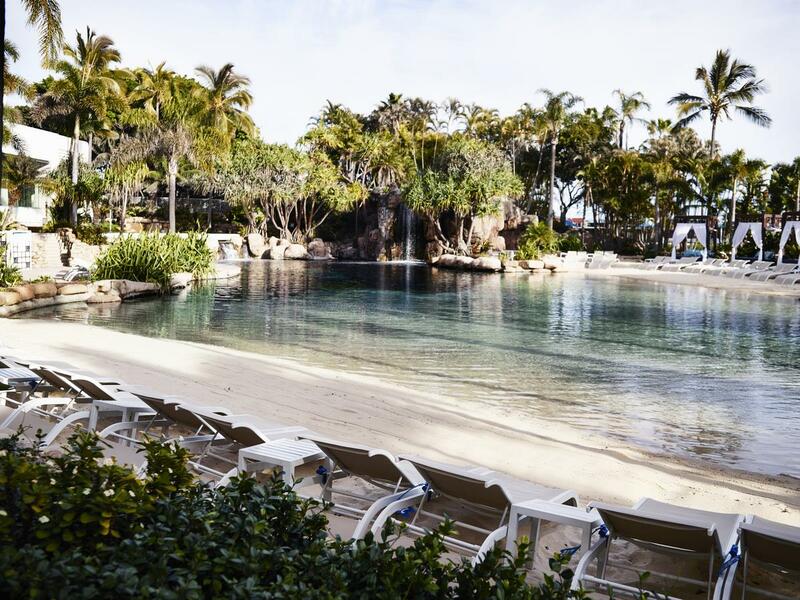 With two pools, a saltwater lagoon, sandy shore, cascading waterfalls, whirlpools, a spa, a sauna, and a live tropical reef filled with exquisite tropical fish, guests can swim, splash, and snorkel without ever having to venture offsite. There are three restaurants and two bars and lounges to enjoy—choose between international or Japanese fare, plus light meals and cocktails at the Pool Bar. 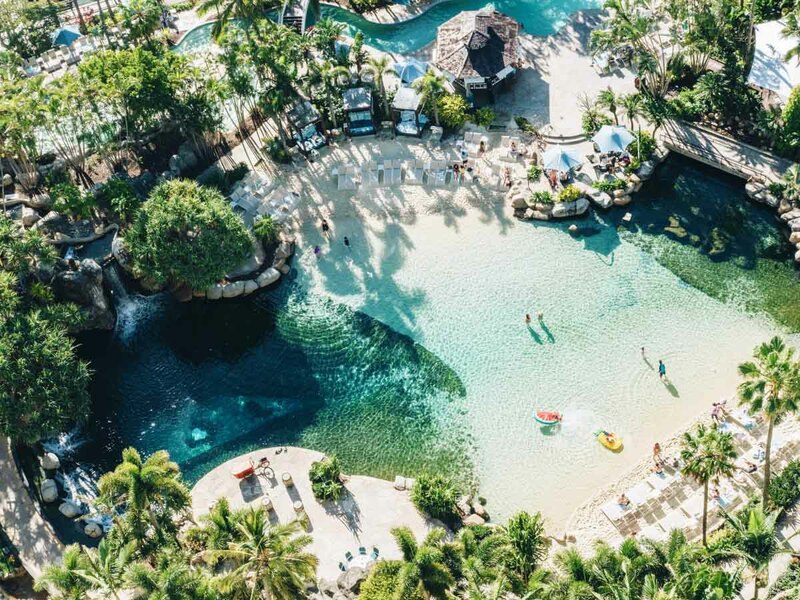 The Surfers Paradise Marriott Resort and Spa is perfect for flop-and-drop travellers and adventurers alike—whether you’re travelling alone or with a group, you’ll love it here. Up to 2 children 12 years and under stay free when using existing bedding or rollaway.